Fresh off the 50th anniversary of its designation as a protected area, Patuxent River Park boasts more than 6,000 acres of nature trails and wildlife just ten miles off the Beltway. If you prefer a running soundtrack of croaking frogs to mp3 playlists, you’ll be right at home, along with the wandering beavers and occasional snake. This park’s location on the Patuxent, overlapping the Star-Spangled Banner and Captain John Smith Chesapeake National Historic Trails, is steeped in history. The park, which weaves 110 miles from Carroll County to the Chesapeake Bay, is named for the longest river located entirely in Maryland. John Smith traveled up and down the Patuxent in the early 1600s, and sections of the National Anthem were inspired by events from the War of 1812, which took place in the Chesapeake region. The system of trails is well-suited for runners seeking alternatives to routine Capital Crescent trail out-and-back runs and battling bikers in Rock Creek Park. Don’t expect to lose yourself in a long run, though. While the entire Patuxent River Park offers about ten different natural areas, they are dotted along the PG county coast of the Patuxent, separated by roadways, and most areas offer less than 5 miles of official foot trails. But bikers will enjoy the tree-lined asphalt roadways throughout the park area, and you’ll be treated to views of wetlands and woodlands in the same run. If you want dirt trails with minimal traffic and relatively easy footing, you’ll appreciate the 2,000-acre Jug Bay Natural Area, the park headquarters located off of Croom Airport Road. The red trail is your Old Faithful, providing a scenic, although sometimes uneven, path that sticks close to the main road. The blue trail is a narrow, winding path, and let’s just say it’s apparent that it’s a favorite among horseback riders. Pink will give you a smooth dirt trail until it turns into a canal bed with bumpy footing. You won’t find your next hill workout on these trails, but chances are you won’t miss it once you start exploring the park. What is striking about the area is the sense of escape. Even on a 60-degree sunny Saturday afternoon, I only encountered a handful of walkers on the brown trail and a couple bikers on the main road. The trails themselves are very easy to follow, thanks to their clearly marked and color-coded signposts every quarter-mile or so. The drive alone through woodlands and farmlands was reason enough to turn off the radio and just enjoy the peaceful scenery. Other promising areas for runners within the Patuxent system include Queen Anne Natural Area, an 18th century port town that has more than four miles of trails for humans and horses alike; the Fran Uhler Natural Area, with more than five miles of woodland trails; and the Marlboro Natural Area, which has more than 1,000 acres of woodlands, wetlands, and open fields. 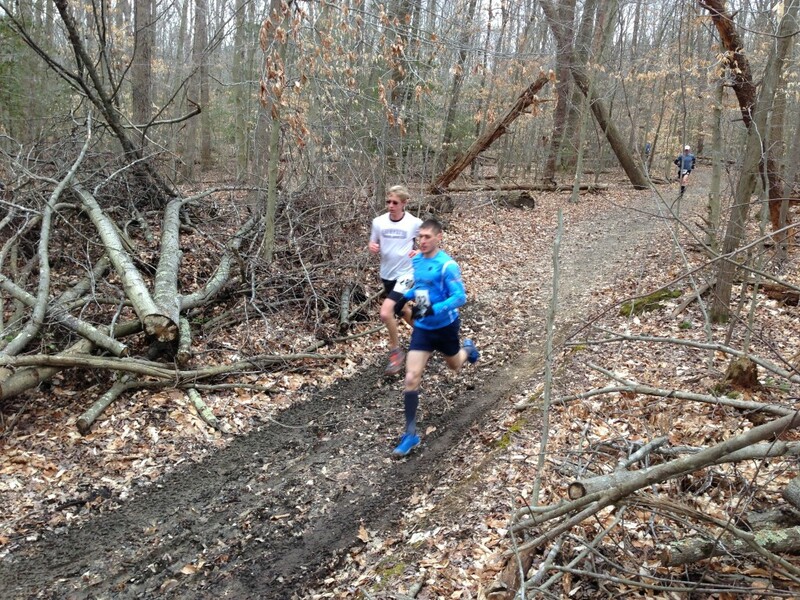 The Quantico Orienteering Club holds a 10k trail race in the spring, following the Blue and Purple trails. Across the river, Anne Arundel County has its own Patuxent River Park, but it features fewer nature activities and an entrance fee. The PG county side does not charge for access and offers PG and Montgomery residents a reduced price for camping fees and canoe and kayak rentals. A stop inside the visitors center at Jug Bay will offer trail maps, historical and natural exhibits, and a live feed of the park’s resident osprey, which at the time I visited was quite pregnant. The enthusiastic park official proceeded to explain all I ever wanted to know about the bird’s history. She also explained that the origins of Jug Bay’s name are unclear. Some say the strip of land where rice grows is shaped like the handle of a water jug, but she reassured me that the more popular explanation is that fighters from the War of 1812 liked to dump their empty bottles and jugs into the body of water after a night of partying only early 19th century farmers could handle. Patuxent is a place to enjoy “slow” running, not necessarily pace-wise, but in terms of the overall experience. If you want to get the family out of the house, there’s something to entertain every age: fishing, kayaking, cycling, hiking, canoeing, and hunting are all offered by Patuxent River Park. Guided nature hikes are offered for the not-too-steep price of $2 for non-residents, and a sunset boat tour will cost you twice that. What can I say, life is a little simpler out here. This article originally appeared in the April/May 2013 issue of RunWashington.